While I was a firefighter I was trained to be a Child Passenger Safety Technician. With a large family full of nieces and nephews — I’m the youngest of 8 — I was interested in learning all I could about car seat safety so I became a Child Passenger Safety Technician Instructor. 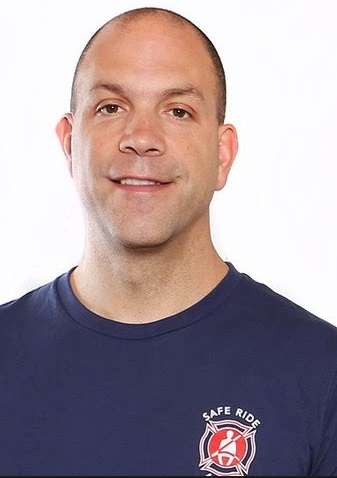 After spending years on the firetruck or in an ambulance, I realized wanted to focus on prevention rather than picking up the aftermath of an incident. Car seat safety became a mission as children can be the innocent victims of their parents’ choices or lack of knowledge. My wife joined me on this mission soon after we were married and she started working in a local hospital teaching new parents how to install their car seats correctly. The car seat industry continuously looks for ways to increase safety for children. We’re seeing new technologies built into car seats and innovative child restraints, like the RideSafer. We’re also seeing a trend in states finally updating their laws to require children to remain rear facing at least until age 2. This is a practice we’ve been teaching for many years. 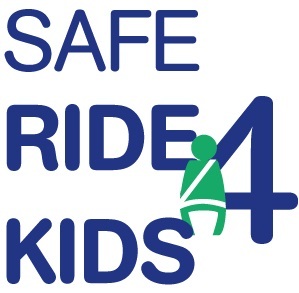 We at Safe Ride 4 Kids are leading the movement to increase awareness and safety practices for driving during pregnancy. Driving while pregnant has been an unrecognized topic of concern for years as the current seat belt system was not designed with optimum protection for the pregnant woman in mind. As technologies in cars advance which make driving more automatic or even driverless, it will be interesting to see what direction child safety takes. In 20 years will there even be a need for car seats? In the meantime there is still a goal of zero deaths on the road and 100% usage of car seats to protect our children. And we’ll be working hard to reduce the number of pregnancies lost — a whopping 3,000 a year now — from car crashes by increasing awareness and usage of the Tummy Shield. We also will be working toward legislation for better protection for the pregnant woman and crash testing requirements for pregnancy seat belt adjusters. We did not develop either of our main products. We were inspired to begin Safe Ride 4 Kids with the birth of our third child and needing to find a safe way to transport 3 children across in our car so we didn’t have to buy a new car. Since both of us were car seat technicians, we’d heard of the RideSafer travel vest but we had never used one. We got two vests for our older children and were then able to fit the new infant seat in the car. We realized the RideSafer could be a game changer for other parents as well but it was still so little known even though it had been on the market for 8 years already. We saw an opportunity to share this amazing child restraint with other parents. Along the way we found the Tummy Shield and immediately saw the possible implications in protecting pregnancies. As soon as my wife saw it she viewed it as a life saver in comfort, wishing she had one for her pregnancies when she drove with one hand holding the seat belt from digging into her low pregnancy. Our vision is to be the go-to source for car seat safety information and have a suite of innovative products that carry children through all the stages of car seats beginning with conception. Mostly we are continuing our efforts to increase awareness for the Tummy Shield and safer driving during pregnancy. We look forward to filling out our product line with other innovative seats for the car seat stages between pregnancy and seat belt positioning. We’re working on a new partnership with the RideSafer manufacturer that will help us take the marketing even further. We are excited about some key relationships and partnerships in the child safety and pregnancy communities we are developing that will help us spread the message to more expecting mothers and early on in their pregnancies so they can benefit from the safety aspects of the Tummy Shield for a longer duration of their pregnancies. Our most challenging moment was learning that at the same time we signed on to carry — and ultimately do the majority of education and marketing for — the RideSafer, the manufacture also starting selling directly to Amazon. As we watched Amazon reap half of the rewards of our marketing efforts, we had to come up with strategies to keep customers on our website where they were learning about the product or have them buy from us on Amazon. As a small family-owned business, it is exciting to take market share back from the Goliath. Our customers compliment us on our customer service. We have made it a point of offer phenomenal customer service. Our customers can ask us questions that run the whole gamut about car seat safety because we are trained car seat experts. While we do sell innovative products, we are more concerned about child safety. We will point parents to other products, if we feel they will better suit and protect their child. As we reach more pregnant moms and fill out our product suite, we will create long-term customers who turn to us for each stage of car seat for their child. We are a small team. My wife is the co-owner who puts in the most time and heart. There is no need to motivate her, car seat safety has been a mission of hers for years. And since she read the studies and wrote the book — literally wrote our ebook — about safe driving during pregnancy, she has a strong desire for every pregnant woman to know the facts. To motivate our marketing and public relations partners to get them behind our mission, I simply shared the astounding statistics. Who doesn’t want to keep these precious beings safe? As cliche as it may sound, the best advice is to be clear on where you are going and hold the vision for its completion much like Walt Disney visualized his dream coming to life.